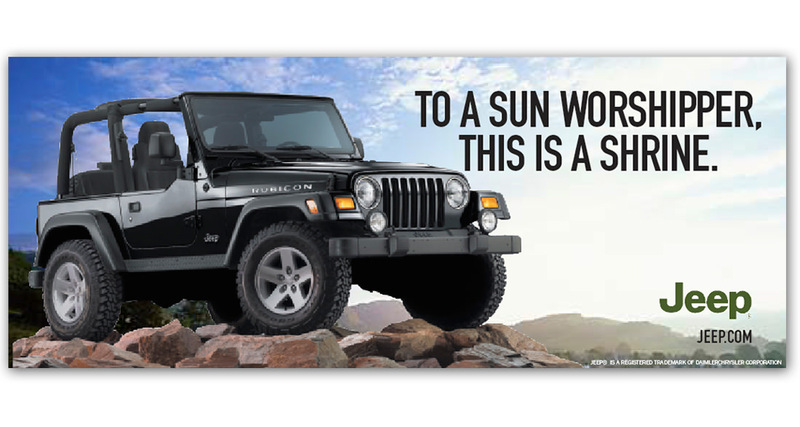 What creative guy wouldn’t jump at the opportunity to work on the Jeep brand? The bar is high and the competition even higher. Hundreds of print layouts. And hundreds of storyboards. In big agencies storyboards are like fish eggs… thousands are created but only a handful survive. Fortunately I had a few projects approved and produced. 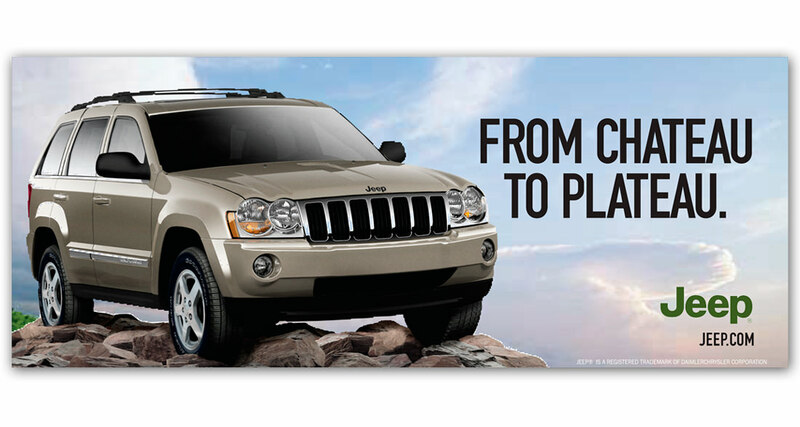 Some outdoor, print and national sales event television spots. Responsibilities: Concepts, art direction, pre and post production.